card with you today. I just love this cute fox stamp! It's from the Foxy stamp set. I also used the Rectangle Dies 1 and Rectangle Dies 2. 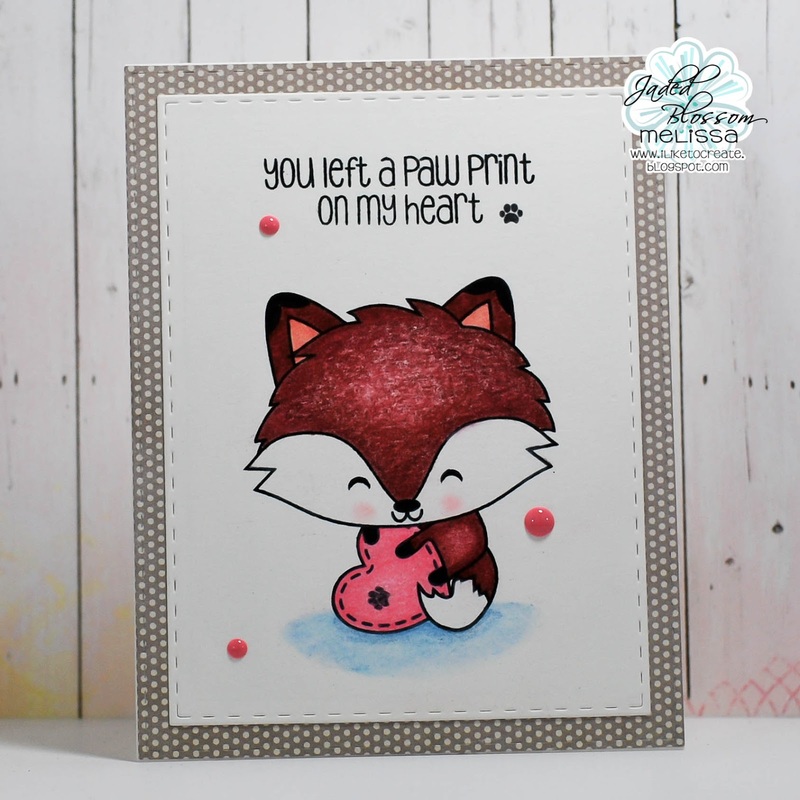 And the sweet sentiment and little paw stamps are from Dog-Gone Awesome. I added some Doodlebug Sprinkles and the background paper is Recollections brand. Can't wait to give this one away for Valentine's Day! Stop by the Garden of Creativity for more ideas using the fun stamps and dies from Jaded Blossom. This is so cute!! I want this set! !